Mere months after 150,000 Rhode Islanders lost power, many for several days, National Grid had the gall to demand a rate increase from the very customers who they had failed. In its filing with the Rhode Island Public Utilities Commission (PUC) under the name of Docket 4770, which consists of a staggeringly large maze of legal jargon spanning over 6,000 pages, National Grid lays out a set of rate increases, tariffs, and administrative changes designed to achieve one simple thing: Increase the revenue of National Grid, a for-profit multinational utility company. While it may seem an inevitability that National Grid will once again raise rates over the objections of the poor and working class, and continue its plunder of this state, we assure you it is not a foregone conclusion. We can stop them — if we can come together and fight for a different utilities model: one that serves the people, not corporations. First, the most basic impact of National Grid’s proposed rate increase: an increase in National Grid’s base distribution rate, the fee National Grid charges for the service of transporting electricity and gas from where it is generated to where it is used. This also happens to be the part of the bill which National Grid directly profits from, as opposed to the cost of power generation which they are legally not allowed to profit from. This increase in the base distribution rate will end up totaling $45 million in new revenue across their gas and electric businesses. National Grid claims they need this new revenue so they can replace leaky gas infrastructure and hire 89 new employees to replace retiring employees. In other words, National Grid is asking us to pay them because they didn’t plan for these easily foreseeable business costs. We ratepayers should not have to subsidize these National Grid’s costs of doing business. Originally, National Grid was asking for $71 million. But they have since decreased their request in light of the lowered corporate tax rate, part of the latest breakout of class warfare that is the GOP Tax Scam. National Grid has tried to play it off as a bit of corporate benevolence, as if they suddenly realized how unreasonable their request was and knew they couldn’t do that to the good people of Rhode Island. This is nothing but spin. The PUC asked National Grid back in December to calculate what impact the new tax law would have on the proposed rate increase which made it clear that the PUC would use this information later against National Grid. This is just National Grid doing voluntarily what the PUC would have forced them to do anyway. But the increase in the base distribution rate is just the first of several costly projects contained in Docket 4770. Because of the current policy of “cost recovery,” National Grid is allowed to pass the cost of investments and improvements made to the grid directly to the customers. We are all on the hook for National Grid’s investments. What kind of projects are National Grid proposing? There is the Gas Business Enablement Plan, an initiative to modernize National Grid’s gas business by revamping their IT services, streamlining parts of the business and ending reliance on paper records and Excel spreadsheets. As PUC Commissioner Abigail Anthony stated at a recent hearing related to Gas Business Enablement, “this should have been done a long time ago.” National Grid has allowed their business to become outdated and inefficient. We’ve seen this recently from National Grid, when they partnered with the software company SAP to do a major software overhaul. Over the course of 2012-2014, mismanagement and incompetence inflated an initial cost of $383 million to $945 million. National Grid has shown it cannot be trusted with a project of this type. Next are the costs associated with National Grid’s “Power Sector Transformation Plan,” their bare-minimum effort to modernize the grid and make it appear more green. This program is multifaceted but one thing is clear: Even though Rhode Islanders want cleaner power, National Grid has no interest in turning away from their reliance on dirty fossil fuels. The cornerstone of this program is the replacement of all customer’s electric and gas meters with “smarter” meters. These meters will give National Grid more data on customer’s use which they will then pass on to third parties. Do you really want National Grid to sell data on your energy use to outside companies? The Power Sector Transformation Plan does include investments in solar power, but they are just a drop in the bucket. Even though state law allows them to generate up to 15 megawatts of solar power, National Grid is only interested in developing a capacity of 3.5 megawatts. This solar energy investment is by far the smallest investment in this entire package of programs. If Governor Gina Raimondo wants to fulfill her pledge of 1000 megawatts of renewable energy by 2020, she’d need National Grid to do a lot more than that. A cynical attempt by National Grid to not appear like the greedy industrialists from an episode of Captain Planet, the Power Sector Transformation Plan is simply too little too late. The PUC has tried to incentivize National Grid to act in a more environmentally friendly fashion and National Grid has shown that they have very little interest. Their proposed LNG liquefaction facility in South Providence, which has a lifespan of 30 years, shows that National Grid is committed to fossil fuel exploitation and all the environmental and social horrors that come with it. Similarly, the PUC has attempted to incentivize National Grid to do a better job of accommodating low-income Rhode Island residents and prevent people from experiencing utility shut offs. 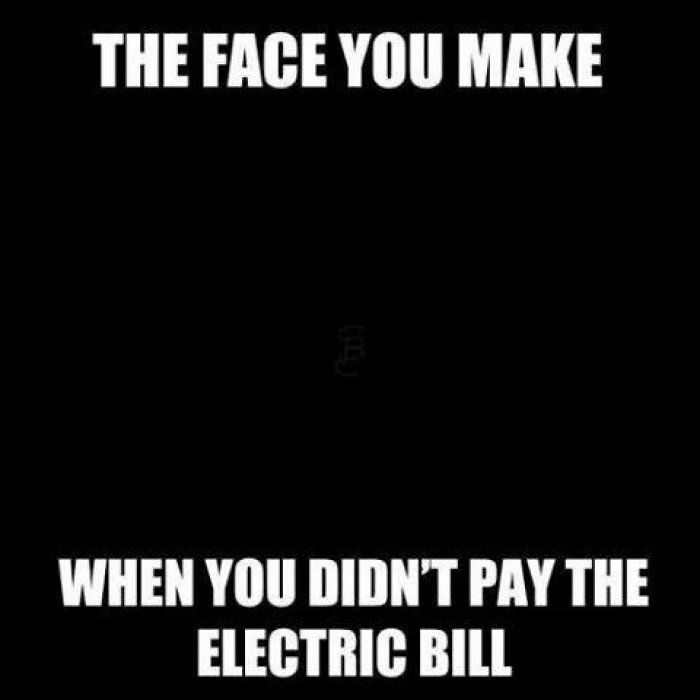 Currently, National Grid has a system where income-eligible customers pay a reduced distribution rate and are exempted from certain customer charges. This is an opt-in system which has a disastrously low 50 percent enrollment rate, especially compared with states like California which has a 90 percent enrollment rate for its low-income program. Under the new plan, low-income customers would instead get a 15 percent discount across their entire utility bill. Sounds good, right? Well, National Grid has admitted that this will come to only a 6 percent savings on a gas bill and a measly 3 percent on an electric bill compared to the current system. With Rhode Island suffering a shutoff crisis which affects tens of thousands of people every year, this barely even qualifies as a band aid. Not to mention National Grid’s plans to eliminate its LIHEAP matching grants as well as its Low Income Weatherization Program, two key programs which offer low-income people assistance in the coldest of months. National Grid has been an irresponsible and short-sighted steward of Rhode Island’s electric grid. We find ourselves stuck tinkering at the edges, finding perverse ways to incentivize National Grid to act in a manner consistent with the democratic will and the basic needs of the people of Rhode Island. National Grid has shown that it does not take the shutoff crisis and the suffering of Rhode Island’s most vulnerable residents seriously with its new, insultingly ineffective low-income program. They have shown that they lack the conviction or interest needed to transform our energy sector and averting climate change by investing in renewable energy generation. Instead, they offer us a pile of green crumbs in the Power Sector Transformation Plan, all while continuing the company’s long-term investment in fossil fuel exploitation as shown by their commitment to a new LNG facility in South Providence. They have become an obstacle to the needed progress that we can make in addressing the needs of all Rhode Islanders, protecting our most vulnerable, and fighting climate change. Rhode Islanders deserve better. Instead of a massive, multinational corporation which we cannot control and does not address our needs, we at Providence DSA present a vision for a utility system in accordance with our socialist principles. A vision of a utility which exists solely to address the needs of the people it serves in a democratic, just, ecologically sustainable, and equitable manner. We can create a utility system which holds the needs of the people of Rhode Island above all, instead of a corporation which is ruled only by the desire to profit and pillage. We can build a utility which is accountable only to the people it serves instead of shareholders, bankers, and the whims of the global market. We can build a utility which uplifts and protects those most at risk of shut offs, so nobody has to choose between keeping the lights on and feeding their families. We can build a utility that lays the groundwork for a transition to a renewable energy future, taking full advantage of Rhode Island’s ample wind and solar potential. We can start doing that now. Instead of this program intended to boost National Grid’s PR instead of help stop the shutoff crisis, we believe there is a better solution. The Percentage Income Payment Plan, or PIPP, would enroll low-income customers whose income is below 150 percent of the Federal poverty line and charge them a fixed percentage of their income as their utility bill. This is currently the best way to make sure nobody loses access to what has become a human necessity and make sure that nobody’s utility bill prevents them from living their lives to the fullest. We will be organizing around PIPP in the coming weeks and months, using the PUC’s planned hearings around the state to spread out message and tell the PUC and National Grid that they need to do better. A better utility is possible, if we are willing to fight for it. So we invite you to join us in our fight for utility justice here in Rhode Island in 2018.